Students in New Brunswick have been learning about Chinese language, food and culture in weekly half-hour classes paid for by the Confucius Institute. What they're not taught is anything remotely controversial, such as China's record on human rights violations. Are the classes a lesson in soft power and propaganda? Canadian school children have been learning about Chinese culture in weekly classes funded by Beijing, but one expert argues they're also getting a lesson in propaganda. "It's basically a classroom that has been outsourced to the Chinese government, giving China the power to edit out whatever it doesn't want foreigners to hear about its history, and its culture, and its authoritarian government," said Rachelle Peterson, policy director at the National Association of Scholars, an American non-profit education advocacy group. The classes on language and culture are run by the Confucius Institute — which is funded by China — and taught by teachers brought from China. The partnerships to run classes in Canadian schools are signed between Beijing and provincial authorities here. Peterson told The Current's guest host Gillian Findlay that as part of those deals, schools in Canada receive "valuable financial arrangements and incentives like trips to China for teachers and students," as well as building economic ties that can be important to the wider community. "The Chinese government uses these financial levers to gain access to a vulnerable population — students — whose minds are not yet aware of what's happening in China," she said. Peterson called it a "soft power operation," and argued that it was inappropriate for foreign governments to fund Canadian school systems. "Foreign governments should not be funding classrooms, and should not be choosing the textbooks and sending over, hiring and vetting the teachers," she said. 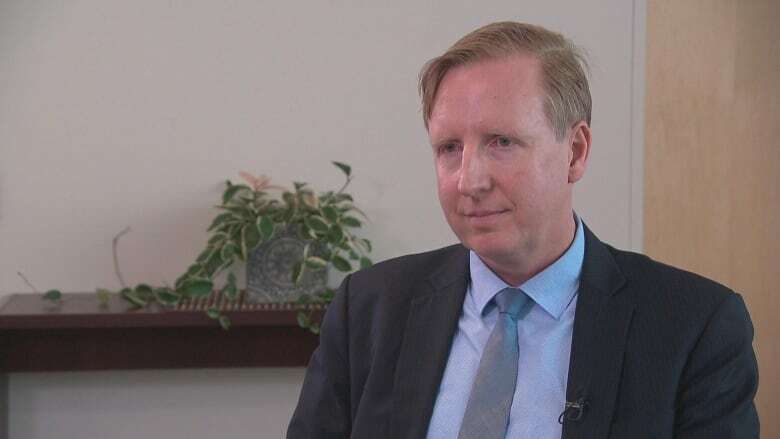 Following complaints from parents, New Brunswick's education minister Dominic Cardy has said he wants the Confucius Institute out of the province's schools by the end of the year. Cardy said it's clear to him the program's real mandate is to present a "one-dimensional" view of China and to influence students to only perceive the country in a positive light. Premier Blaine Higgs later said the government may not be able to back out of the program as quickly as Cardy wants, because the contract runs to 2022. The original 2007 contract allowed either side to cancel it with six months' notice, but the 2017 renewal agreement removed that clause at China's request. In 2014, the Toronto District School Board voted to remove the institute from their schools following protests. The Current contacted the Confucius Institute in New Brunswick, and Hanban, the Chinese government agency responsible for the institutes. Neither returned our request for comment. In a statement, the Confucius Institute in the U.S. told The Current that it recognizes "discussions about Chinese government and political issues are important for education," but that "those discussions should and can take place in the host institution's politics, history, international affairs, or Asian studies departments." "Nothing about the Confucius Institute programs prevent that from happening," the statement continued. Wenran Jiang characterized New Brunswick's move to stop the classes as "arbitrary" and "undemocratic." With more than 5,450 students taking the classes in the province, "there were merely five complaints so far to the minister, which is one-tenth of one per cent," said Jiang, an adjunct professor at the school of public policy and global affairs at the University of British Columbia. He argued that if Cardy wants to uphold democratic values, "he should listen to the 99.9 per cent of the people who did not complain." Jiang told Findlay that the Confucius Institute's curriculum is designed to be neutral, focusing on language, and cultural expressions such as food or clothing. "It's not designed to teach human rights, or Chinese politics or international relations," he said. Jiang said that concerns are motivated by sinophobia, adding that the Chinese government does not export "its ideologies around the world." Written by Padraig Moran, with files from CBC News. Produced by John Chipman and Danielle Carr.